The ongoing process of globalization of world economy has made possible cross-border listing of companies. It has also made investment in cross-border companies stocks. For example, a US citizen can investment in companies as far as in Chinese market, in Indian market and if not that far just next to their border in Canadian companies stocks. If you think of putting some money in Canadian stocks, you can do even without an advice or evaluation of the market by a professional broker. It depends how long you have been investing in the market. If you are beginner, do not even think of stretching your investment plans too soon and safely put your money where you thinks it is safer. As a mature investor you can do so but still you should monitor the movement of the Canadian market for at least a week and particularly evaluate how the stocks of a particular sector or company in which you want to invest in are doing. Once you are confident, you can buy shares of any company in any sector online and even can trade them on a regular basis. Follow your plan step by step. First of all you should determine what percentage of your total investment you want to invest in the Canadian market. For example, if the market climate is not conducive for the investment you can start with as little investment as possible, but can increase the amount once the market returns to bullish trends. Get information about the companies and sector you are particularly attracted to invest in. Once you have enough information evaluate price movement of these shares for some time to get an idea if they are doing consistently well, or is there major fluctuation in their price. After you know as much as you want to know or you think is enough to take the practical step of investment, open an account with a broker online. 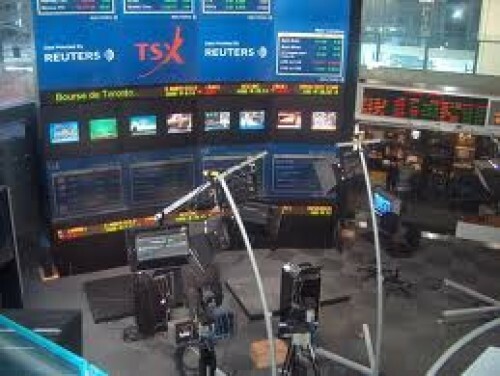 You can easily find a list of brokers who offer online trade of Canadian stocks. You can then start accessing your account online and to confirm if it is working all right buy any number of shares. If it is successful you can proceed further. After confirming first purchase, you can start investing and trade of the Canadian stocks on a regular basis. It is better to increase level of investment gradually as your confidence in the market grows. Also keep reading about macro-economic indicators of the country as the market is directly influenced and affected by them.